Satsuki is Jinpachi's younger sister. She is an expert of the naginata. After Nanaka rescues her (accidentally), she calls Nanaka Oneesama (a polite term for older sister, means "my respected lady"). 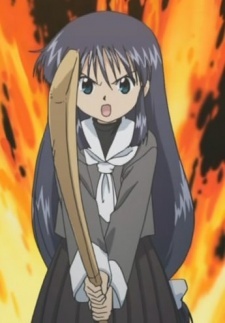 And she considers Nenji to be Nanaka's enemy, so she attacks Nenji with her naginata.